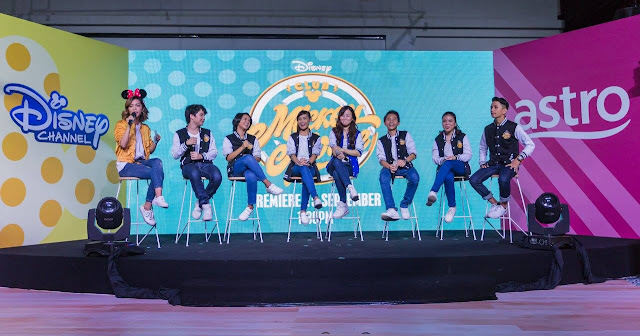 After an extensive nation-wide search, seven young, talented Malaysians have been chosen to be the country’s first group of Mouseketeers. 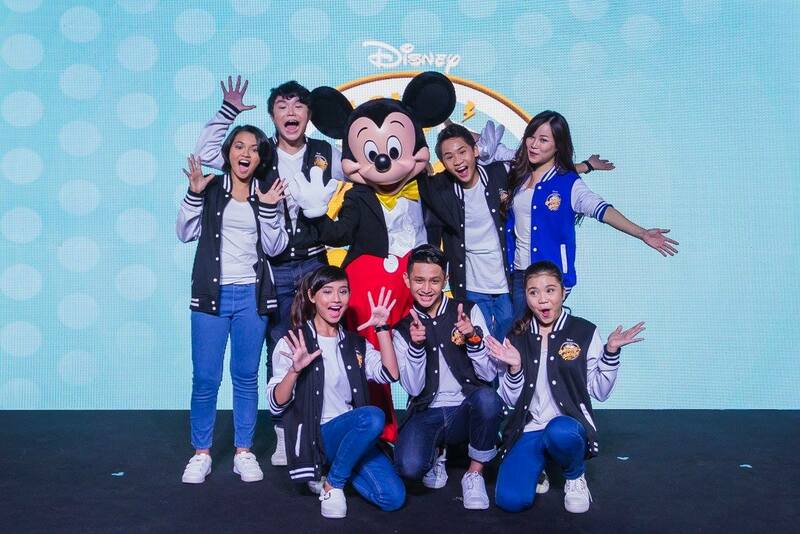 They will be the hosts of the multi-platform Disney Channel show “Club Mickey Mouse”, which makes its debut in Southeast Asia. Created by Walt Disney in 1955, the original “Mickey Mouse Club” is being refreshed in the United States as a digital-first program called “Club Mickey Mouse”. In Malaysia, the franchise has been localized and refreshed into a contemporary and uniquely Malaysian show which will entertain kids and families through music, comedy, games and celebrity guest appearances. These include hugely popular local personalities like actress Nur Fazura, actor and singer Fattah Amin, and hip-hop rapper Joe Flizzow. Standing (LtoR) Mouseketeer Dheena; Mouseketeer Gabriel; Agnes Rozario Vice President of Content Management Group, Astro; Mickey Mouse; Amit Malhotra, Vice President & General Manager, Media Networks, The Walt Disney Company Southeast Asia; Mouseketeer Faiz; Head Mouseketeer Charis. With a digitally savvy audience in mind, “Club Mickey Mouse” will be a one-of-a-kind, multi-platform experience, providing fans with more ways to celebrate their love for Disney. Besides the variety show on Disney Channel in Malaysia, there are also 16 digital-first episodes called “Club Mickey Mouse Extra”. The Mouseketeers also interact with kids and families on social media. To date, Club Mickey Mouse has reached 18.5 million Malaysians online, with close to three million of them engaging with the content. The iconic variety show for children first started in 1955 in America, and had been revived, reformatted and reimagined over the decades in order to remain relevant to audiences. It was also responsible for uncovering and launching careers of former Mouseketeers such as Britney Spears, Justin Timberlake, Christina Aguilera and Ryan Gosling. “Club Mickey Mouse” will premiere on Friday, 15 September, 1.30pm on Disney Channel (Astro Ch 615) and will also be available on Astro GO and On Demand. Astro subscribers can also catch the premiere of “Club Mickey Mouse” on Disney XD (Astro Ch 617) and Disney Junior (Astro Ch 613) at the same time.